Doctors of optometry (O.D.) are the primary health care professionals for the eye. Optometrists examine, diagnose, treat, and manage diseases, injuries, and disorders of the visual system, the eye, and associated structures as well as identify related systemic conditions affecting the eye. Doctors of optometry are the nation's largest eye care profession, serving patients in nearly 6500 communities across the country, where in more than 3500 of these communities, they are the only eye doctors. As primary eye care providers, optometrists are an integral part of the health care team, earning their doctoral degree just as dentists, podiatrists, and other doctors do. Prior to admittance into optometry school, optometrists complete four years of undergraduate study, culminating in a bachelor's degree. Required undergraduate coursework is extensive and covers a wide variety of advanced health, science and mathematics courses. Optometry school consists of four years of post-graduate, doctoral-level study concentrating on the eye, vision and associated systemic disease. In addition to eye related coursework, optometry students take courses such as gross anatomy, neuroanatomy, physiology and pharmacology, sometimes sharing the classroom with medical, dental, and other health professional students. Upon completion of optometry school, candidates graduate from their college of optometry with a doctor of optometry (O.D.) degree. Some optometrists then participate in residency programs following optometry school in order to acquire specialty training in disease, pediatrics, low vision, or geriatrics. 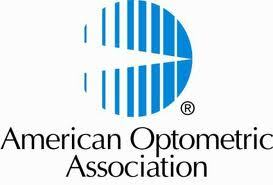 Optometrists must pass a rigorous national board examination prior to being licensed in any state. Some states (including Florida) require a state board examination in addition. All optometrists are required to participate in ongoing continuing education courses to stay current on the latest standards of care. Copyright © 2019 Treasure Coast Eye Associates. All rights reserved.